Riot MapleNectar outlined the planned changes coming in the next patch. 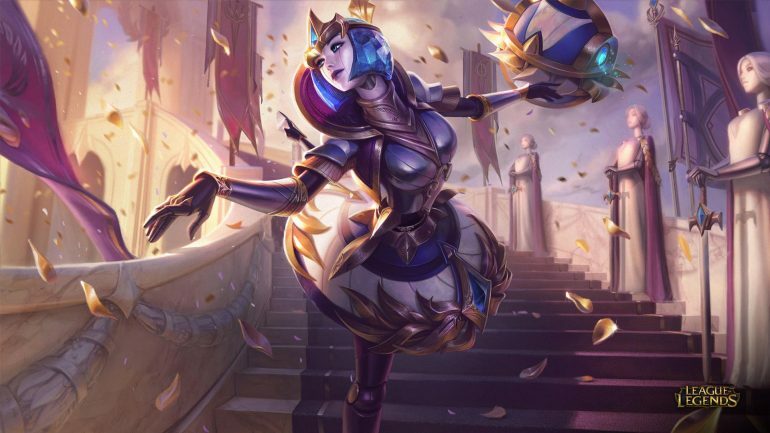 It looks like League of Legends players are going to have to deal with Aftershock for a little longer—Riot Games confirmed that it won’t be shipping the recent Public Beta Environment changes to Aftershock in Patch 9.7. Additionally, Riot won’t be shipping the big Orianna buffs that were added to the latest PBE update as well. But Riot plans to buff a number of champions in the upcoming patch. Richard “MapleNectar” Henkel posted an image detailing the champions that are going to be buff and nerfed. Dr. Mundo, Cho’Gath, Garen, Rumble, Kayn, Azir, Pyke, and Leona are among the champions that will be buffed. The jungle enchantment of Cinderhulk is also getting a buff as well—its passive will now do 300 percent bonus damage to minions and monsters. Meanwhile, Riot will be nerfing Sylas, Lissandra, Kayle, Morgana, and Urgot in this patch, with Dark Seal also catching a nerf. Additionally, the item Wit’s End will be undergoing a pretty significant change in build. Ghost Poro, Zombie Ward, and Eyeball Collector are all changing up a bit as well. It’s interesting to see that Riot isn’t sending the Aftershock changes live just yet. Riot may be trying to adjust the rune so it’s useless for non-tanks, but usable for tanky champions. It also doesn’t seem like a coincidence that Riot is nerfing Sylas and Lissandra, who are two of the most prominent users of the rune.